Children who are adults and were disabled before the age of 22. Your spouse can be paid benefits at any age if they are caring for your child, and that child is under the age of 16. However, your spouse’s benefits will stop once the child reaches the age of 16, while the child’s benefits will continue. Your spouse can also receive benefits if they are caring for you disabled child and is currently receiving Social Security benefits. Additionally, your spouse can qualify for benefits if they are 62 years old or older, regardless of whether they are taking care of your child. Even if you have since remarried, your ex-spouse may be able to receive benefits as well. 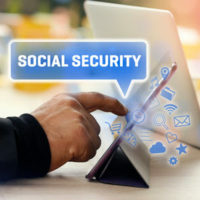 Your spouse must be at least 62 years old, still be unmarried, your marriage with them must have lasted at least 10 years, and they must not be eligible for an equal or greater benefit under their or another’s Social Security record. Eligible children to receive benefits under your record may be biological, adopted, or stepchild. They must be under the age of 18, be up to the age of 19 and a full time student (discluding college), or they must have had a disability that began before they reached the age of 22. Multiple children of yours can qualify for benefits, each up to half of your disability benefit amount. The total that all of your dependents (including children) can receive is usually between 150 and 180 percent of your benefit amount. Sadly, the Census shows that the families who are raising a child with a disability face almost twice the chance of being in poverty than families who are raising a child without a disability. However, that does not mean that you and your family are destined to go down that path. If you are receiving Social Security disability benefits, your disabled adolescent child or disabled adult child may receive benefits. In order for your adult child to qualify, they must have been disabled before the age of 22, be 18 or older, and be unmarried. In some cases, disabled adult grandchildren or stepgrandchildren can qualify for benefits as well. If you are applying for Social Security disability benefits, or already receive benefits, and have questions regarding the qualification of your dependents, we strongly urge you to reach out for help. To speak with an experienced Social Security disability attorney, call the White Plains Law Office of Michael Lawrence Varon today.